A very popular style of Inländer-Rum (meaning, “domestic rum”) from Austria. 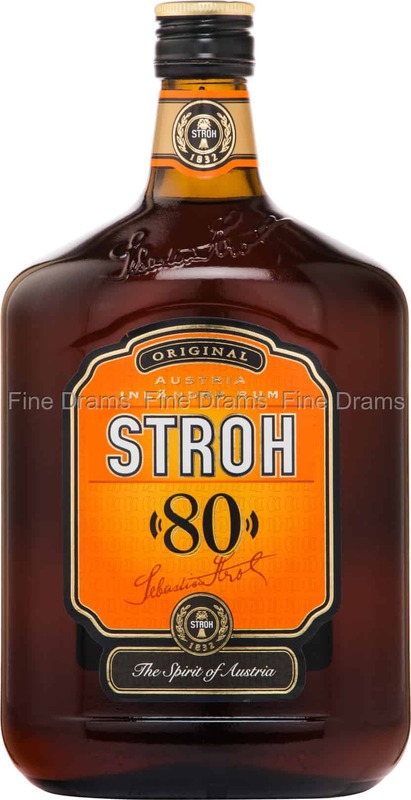 First produced using neutral spirit at a time when tropical rums were not widely available in Austria, Stroh is now made using sugar by-product. Flavoured with spices and essences, this rum is mostly used in producing flambéed desserts, and mixed drinks – particularly of the flaming variety. A small dash can really liven up a coffee too. Bottled at an extraordinarily high proof of 80% ABV this is not meant to be drunk neat, but rather cooked with or made into cocktails as described above. An Austrian icon, and for good reason.